There’s milk in the fridge. The baby and the dog got fed. You get in the shower, do your teeth and hair, get dressed and get to work. Like millions of people doing the same thing over, every month, every year. None of that changes if you vote or if you don’t. I mean, the world keeps turning. Trucks make deliveries, networks of electricity fire along, water systems pump, eftpos systems speed money and goods along. Baddies are caught by Police, ambulances speed in and out of hospitals, people go to church, temple, lawn bowls, parties on a Saturday night, a run the next morning, and do it all again next week. Societies and economies function. Stand on any big hill overlooking your area and you may well ask: so why vote? It doesn’t seem to change anything that needs changing. Most people only notice elections when we turn on the radio or tv news, or when those billboards with people we’ve never heard before sprout like ads for poorly-presented real estate dealers. And we sigh with an internal eyroll-emoji. That thing called an ‘election’ often doesn’t affect your daily life. Sometimes democracy just feels like a meaningless, jabbering bad mood. Politics is really just a descriptive term for a process that makes mildly interesting people turn ugly. Way less than half of eligible people voted in the last local government elections. I’m confident that more people don’t vote, and fewer people do vote, because they don’t see what elections affect. At the most local level of politics, Council elections have an effect when you do something as simple as walk the dog in the morning. Council affects you because you are regulated to have them chipped, and vetted, and licensed, and on a lead. Council affects you because there are few places you can let them off. Council regulates you to stop them attacking. You’ll also notice if the park gets run down. That’s just one tiny area of your life. You can rehearse your day and recount how many times the Council affects your life. You brush your teeth and have a shower: water quality, water bills, water colour, water reliability. You get in the car and drive: road potholes, everyone else’s bad driving, congestion, taking too long and getting fed up, no parking, wasted time and frustration. Another area of your life. Elections matter when you can see change happening in your life. Forget the speeches, the media, the needless and endless tweets and swipes and posts, the great piles of angry words. Vote on what changes your life. Vote because it changes your life. Then at the end of every year, after Christmas has died down, ask yourself: did that election make a difference in your life? And prepare to vote accordingly, again. Time to pop the Chloe Swarbrick ‘methane bubble’? In my view the voting public have been totally sold a pup with young Chloe Swarbrick. Chloe supports PPPs for infrastructure – which means she supports privatisation – which means she supports corporate control over public assets via multi-national companies. Actually – in my view – Chloe Swarbrick is actually a neo-liberal wolf cub of the female variety – a new young mouthpiece for the corporate 1% and commercial property developers. How many Auckland voters have been totally swept up and sucked in by this mainstream corporate media manufactured Chloe Swarbrick phenomenon and are now regretting it? How much responsibility does The Spinoff have in promoting this, in my view, Chloe Swarbrick methane bubble – based on the proverbial? “Hi Chloe – I don’t think I’ve yet had a reply from you to my following question? Given you have stated that you support Public-Private Partnerships (PPPs) for infrastructure, can you please confirm whether or not you support PPPs for water services infrastructure? I asked Chloe this straight question a couple of days ago in a discussion on Cathy Casey’s Facebook page – but never got an answer. Auckland voting public, I look forward to Chloe’s prompt and honest reply. Good post Penny .I quite agree with you – we have been sold a pup with this neolib young woman. only one thing around here stinks…. Quite. And Auckland voters will confirm it. In Auckland, I think the resounding answer is no. Voting will not make a damn bit of difference. We have had a national government who has guttered local body politics to the point of all but irrelevance. 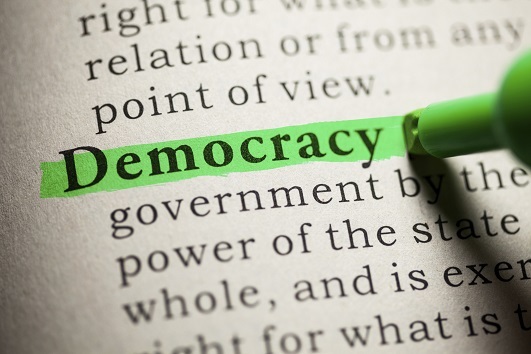 Democracy needs a revival at the local body level, I’d go as far to say we desperately need it. Just look at the local board of Maungakiekie – Tamaki, which cuts across a whole swath of communities which have very little in common. It also physical cut by barriers like motorways, and mountains (for Auckland mountains, no cheap shots from you lot down south) Not to forget it traditionally was part of two different cities with proud traditions. It just is not working. This super city is a failure – not only in a democratic sense. But in that it does nothing to enliven the people who live in this great city. It needs to go. Yep. Would have been a better idea to shift some functions out to the Regional Council while keeping all the previous cities. The debacle that we have now seems to be because the government wanted to remove the power of the people of Auckland from the running of their city and leave it to an unaccountable clique of RWNJs and, of course, to sell off Auckland’s assets. Voting does a couple of major things. 1 – It keeps a revolving clique empowered and endorses the status quo. 2 – It keeps ordinary people disempowered and democracy/meaningful change out of reach. It does other things too. But those two are major. Exactly what Representative Democracy was designed to do then. You’ve made the case that local councils affect our daily lives. I can’t dispute that. You haven’t made the case that choosing to elect candidate A over candidate B will make any difference to anyone’s life. No candidates ever stand on the basis that they won’t fix potholes, or that they won’t keep dog parks in good repair. They all say they’ll do wonderful things. As CV pointed out the other day, when you vote for a councillor, they’re just 1 person with a vote on the council as a whole. So even if they do have radical policies, it’s unlikely they’ll make any headway on them. It’s not like voting for political parties in government, where if your party wins the election, they get to pass 90% of the policies they like over the proceeding 3 years. A valid point and another reason why we need to involve everyone in the decision making process. Let them come to terms with how much government actually does and that their vote truly matters. Well if you think about it, elections determined on a majority of votes are an inherently status-quo sort of arrangement. …or even inherently set to dragged ever deeper a mire of inertia by the dead weight of ‘lowest common denominator’. We need major and radical political and social change right now…an upheaval. I say that with no reference to my political leanings that have been all for radical change since ‘for ever’. Physics says change or, well…for substantial numbers of us – die. Yet, here we are voting to twiddle and tweak and carry on in what might be one of the most moribund and deeply dangerous political environments NZ has managed to create in quite some time. Evolution or revolution? The model this brings to mind is ‘punctuated equilibrium’; the idea that relatively long periods of stasis get suddenly disrupted by radical change. All societies have an in built conservatism that is their natural defense mechanism against unwise, unproven change. But equally this same mechanism also entrenches privilege and inequality, which gradually accumulates hidden stresses that explode at unpredictable intervals. The dreamer in me would love to see us consciously experiment a bit more. I truly believe human nature is not a fixed, brute thing. I’ve seen it change with my own eyes, but right now the world we live in incentivises and rewards all the worst aspects of humanity. Evolution and revolution are the same in my mind. But then, I don’t buy into the idea that revolution is violent and chaotic – violence and chaos results in a new iteration of the older order if historical periods of violence and chaos are anything to go by. The ‘punctuated equilibrium’ accords with my idea of fluid dynamics crystalising over time before shattering due to the building pressure that brings the crystalline structure into being in the first place ‘suddenly’ exceeding the carrying capacity of structure. It works for me, although it would be a better image/analogy if something like ice actually did shatter due to a build up of internal pressure 🙂 . Some societies have in-built conservatism. It depends on the nature of organisational structures and decision making processes. If you question the need for elections, just remember there are hundreds of millions around the world who can only dream of having free and fair elections. We are to put it mildly VERY lucky. And if you don’t believe me, just ask someone from Syria, Iraq, etc what voting in an election means to them. Have you been to Syria and or Iraq et al to ask the locals? Of course they matter. The problem seems to be that people have lost sight of what councils and government actually do and claim the funds that are required to do them are theft. To reverse that tend we actually need to be involving everyone in the decision making process for the services that government, local and national, provide. It’s chicken and egg. Why should voters turn out to choose between a selection of empty beige non-options? On the other hand, why bother standing out from the beige crowd if the support base isn’t there? It’s a conundrum, but either we get a circuit breaker (indeed, perhaps a Corbyn or a Swarbrick) or things carry on much the same. I guess the answer is that people like beige. They don’t want crazy people in charge of the council. I’ve never seen the movie Swing Vote but it sketches an interesting situation and very close contests do happen. Edit: 6 times more people identify in NZ as Muslims than Jews, according to the 2013 census. It actually makes no difference who you vote for because it makes no difference who gets in. The mayor leads the city the way the bowsprit leads the boat. As do the elected Councillors. The way the local authority act now works is that all the elected officials are permitted to do is read reports and sip tea. Their only allowable point of contact with the council staff is the council CEO who can ignore, stall or frustrate them as he chooses – with no penalty. The elected representatives cannot pick up the phone and say ‘mend those potholes’ or ‘remove those bus lanes, all the voters hate them’. We have even had the Auckland Council CEO publicly gagging the elected Councillors from discussing controversial subjects with the media and the ratepayers. The inmates have taken over the asylum and are running it for their own benefit and according to their own beliefs. There is quite a discussion now about the low level of voter turnout, and how to improve this. This disinterest in voting is actually quite a logical and rational reaction to the ratepayers eventual realization that the whole thing is a meaningless and impotent charade that will change nothing. So people just don’t bother. So don’t loose any sleep about your vote – because it is really just a futile exercise left over from past era when different rules applied. “If voting changed anything it would be banned”.